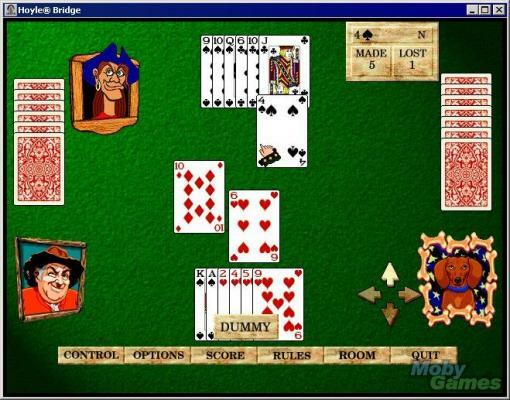 Hoyle, the most trusted name in gaming, brings one of the world’s most popular card games to your PC with Hoyle Bridge. Drop right into the action in this classic bidding and trick-taking card game! Includes the official rules, tips, and strategies to give you the winning edge. Pull up a chair and deal yourself in! Includes Rubber Bridge and Four-Deal Bridge. Learn, practice and master the game! Large, easy-to-read cards! The challenges never stop with a variety of different in-game opponents. Customizable game features give players more control to create their favorite play style. Select from a variety characters, speed of play and more! Put yourself in the game or create silly faces with HOYLE’s Face Creator.